Ginger Owens has a passion for working with children and their families, and also networking with churches and children's workers. She loves sharing with churches and their leaders how to reach into the community and share God's love with others! Ginger began teaching children when she was 16 years old. 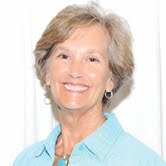 She has experience working with children in churches of various sizes, and, for the past nine years she has served as Minister of Childhood Education, working with a team that ministers to birth through 5th grade, at First Baptist Church, Panama City, FL. In addition, she has written curriculum, and taught conferences for Lifeway, state conventions, and churches. Several years ago she wrote a tract for sharing the gospel with children that can be used by children or adults. If you need someone to share with your children's ministry leaders, feel free to give Ginger a call. You can click here to view her 4:12 Network profile and learn how to contact her.